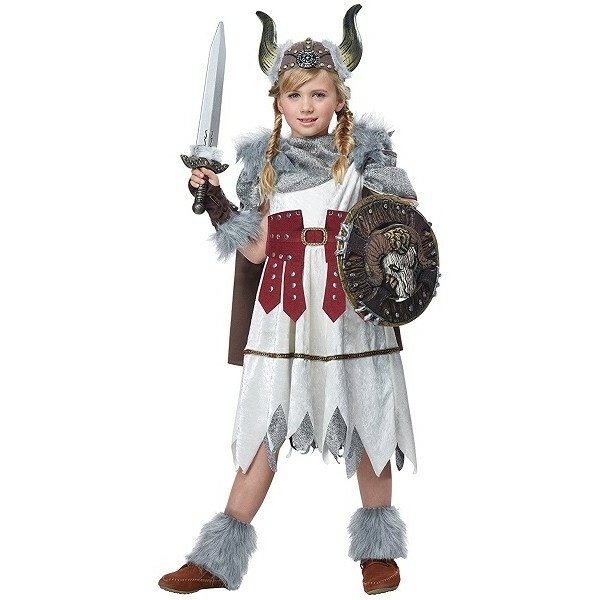 Defend your village against raiders -- or get ready to go raiding yourself -- in this Viking warrior costume from California Costumes! 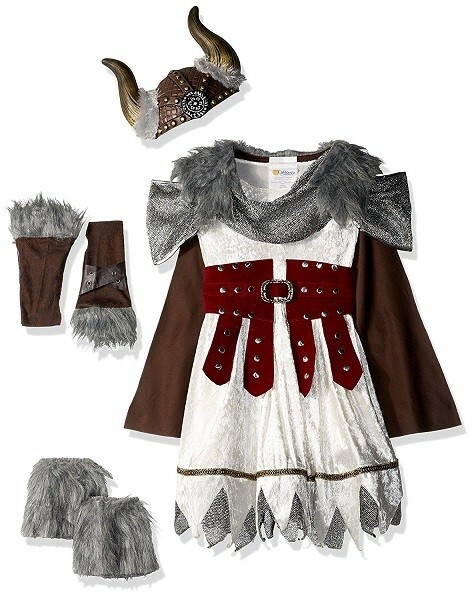 With a faux fur collar, a leather-look belt, and chain-mail textured detailing, this costume really stands out. The set includes a dress, a cape, a belt, a half helmet, fingerless gloves, and boot covers. Please note: sword and shield not included.